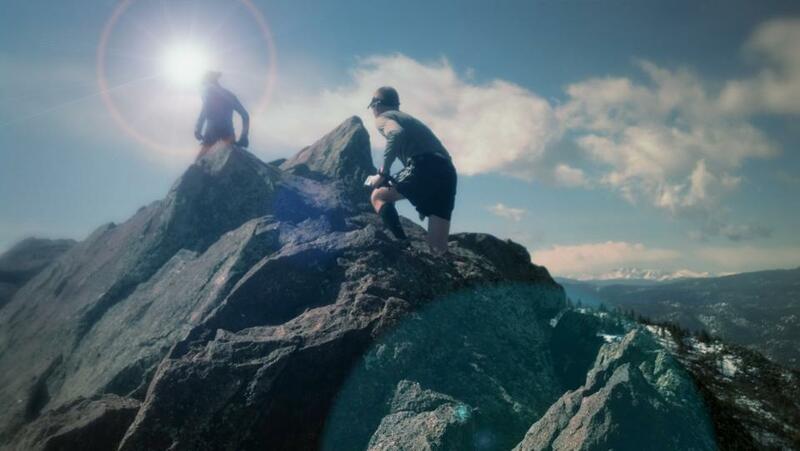 Last weekend 215 runners began the Tahoe 200, the 205-mile ultra marathon that circumnavigates Lake Tahoe, tasked with the challenge of completing the race within 100 hours. 140 were able to complete the entire course in the allotted time. One of those runners, Courtney Dauwalter, not only finished the race but did so in just under 50 hours: 49:54:36. 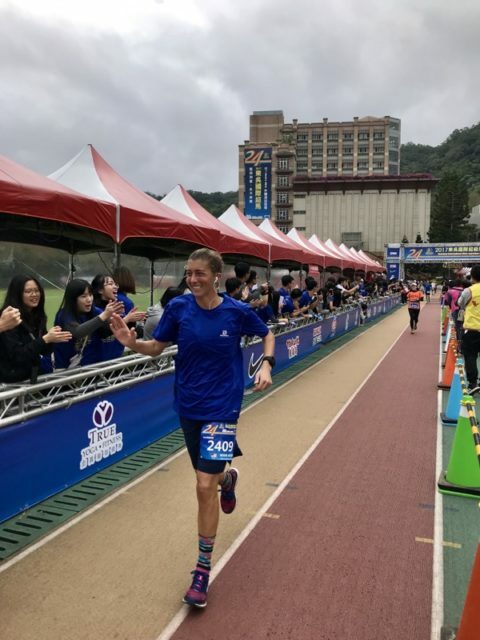 Her time crushed the previous women’s record by over 18 hours and while finishing second overall she still beat the previous overall course record by 8 hours. 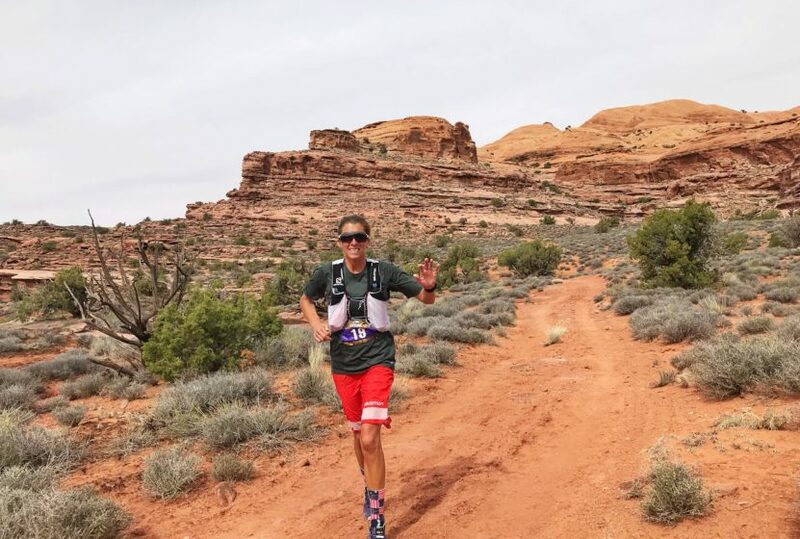 As many know, Courtney began making waves in the ultrarunning world during the 2016 season; then the world really took notice in 2017 with her overall win at the Moab 240. I spoke with Courtney shortly after her Moab win and was fortunate enough to talk with her again after this latest win at Tahoe. We not only discussed this win but her 2018 season, nutrition and what’s next. I caught up with Courtney just as she got home in Golden Colorado. I asked if she had stayed for the completion of the race? “Absolutely, that’s the best part.” I followed up and asked how she was feeling, “Feeling pretty good. My legs are throbbing and fatigued”. Her complete description sounded remarkably good considering not only had she just run 205 miles but has run at least 8 other races in 2018 of 50 miles or more. Most notably her 2018 Western States win in 17:27 (second fastest female finish ever). We talked a bit about this 2018 schedule. Courtney said she has really listened to her body and was taking time off between races. When asked for her definition of “time off” she said that after Western States, for example, she ran almost zero miles and maybe 5 to 10 miles of walking and strolling, “definitely nothing where I would break a sweat”. We then discussed the Tahoe 200 itself with me asking how the race went, in general. “I was under no impression after Moab that I knew what I was doing or what to expect at Tahoe.” Still, she had a race strategy but, “things did not go as smoothly as planned. There were a couple of wrenches that got thrown in.” On the first day of the race, she could not stop throwing up. Additionally, she said she could not kick the sleepiness which led to a lot more napping than planned. This, in turn, created longer aid station stops. 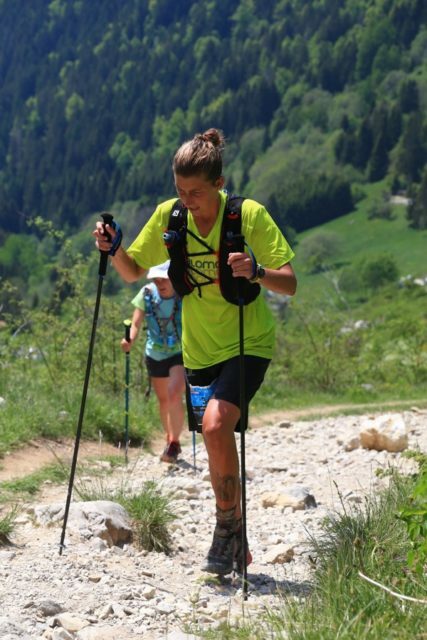 “I had wanted to trim the fat off the aid station stops and keep them below 10 minutes”. In the end, Courtney said her stops were between 20 to 30 minutes in most cases. I felt this was a good transition point to discuss one particular area Courtney is famous for, her diet. While on Joe Rogan’s Podcast (viewed over 1 million times on YouTube alone), Joe found her overall diet, whether training or racing, fascinating and hilarious. Joe asks, “What is your diet like?” Courtney replies, “Ooo, yeah. Um. Nachos, Candy.” After her response, Joe continues to laugh and be amazed at her diet. Needless to say, Courtney doesn’t spend a lot of time worrying about her diet. So, I asked, “Anything new or more scientific with your nutrition?”, her response was, “Well, it’s candy corn season so I’m in hog heaven”. You gotta love her. 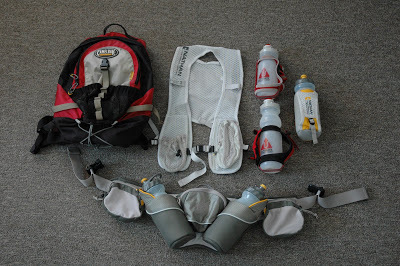 Courtney’s next race is another intriguing event, Big’s Backyard Ultra. This is a ‘last man standing’ race created by Lazarus Lake of Barkley Marathons fame. 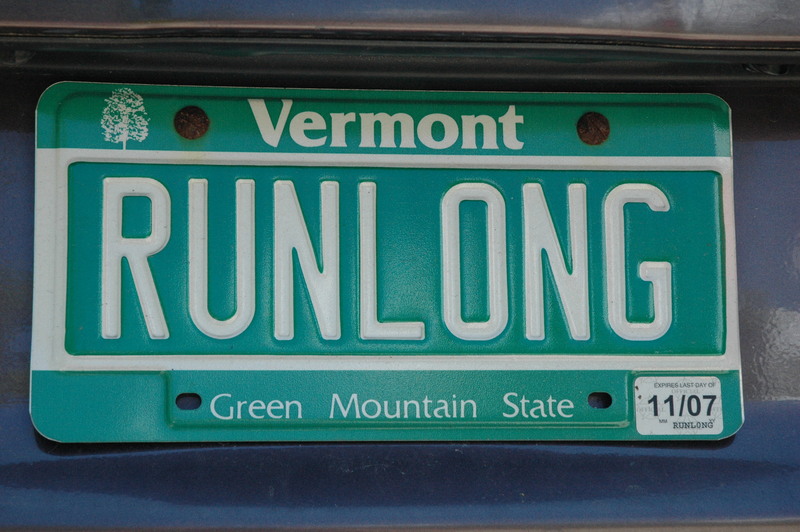 In this “race”, runners must complete a 4.1667-mile loop in under an hour. Finish that loop and you toe the line for another at the top of the hour. Last years winner made it over 245 miles which computes to 59 loops in 59 hours. When I asked Courtney if she was interested in running the Barkley Marathons at some point, she responded, “Oh! Of Course! Anything that involves suffering”. To wrap our chat we spoke briefly about 2019. Courtney said, “Right now it’s just the next race and, my husband is running his first 100.” One race she did mention was Western States, “I’ll probably return to Western States and give that another shot”. I don’t know about you but I’m thinking, a shot… at the record. At the rate she’s going, I’ll put my money on Courtney bringing down plenty of records. Where’s your article on the actual winner of the race? It hasn’t been written. Always accepting submissions! Hey George, Courtney WAS the actual winner of the race, the women’s race. The men’s winner was Kyle Curtin. That would be a separate article. This one is about Courtney… jesus.